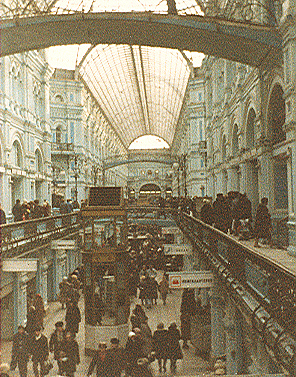 The big shopping center GUM in 1985. 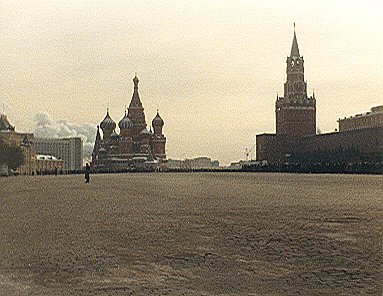 Moscow: The Red Place with the Basilius Cathedral in the backround. 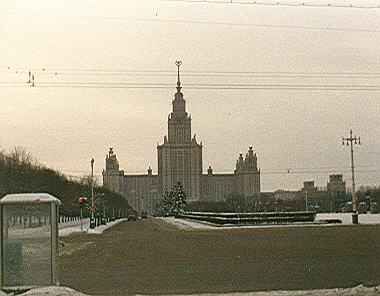 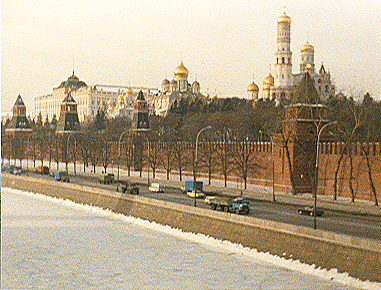 The Kreml with the river Moscow in the foreground.